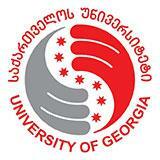 Admission at the University of Georgia (UG) is possible by filling the Application Form or by sending all the required documents to the following e-mail – m.ghatchava@ug.edu.ge. m.ghatchava@ug.edu.ge a.kharaishvili@ug.edu.ge After submission you will receive a confirmation letter from the Office of Admissions. Note: All documents should be scanned and converted in pdf format. The application fee is 100 USD (non-refundable) and includes translation, notarization and the application fee for the National Center for Quality Education Enhancement. National Center for Educational Quality Enhancement takes up to 5 working days for recognition of high school certificate in case of 120 GEL payment, 2 weeks in case of 80 GEL payment and one month in case of 40 GEL payment for transferring credits recognition. In case of paying 100 USD, University will cover all expenses automatically. After submission, within the 7 working days, an applicant will get an official offer letter from the University of Georgia on his/her personal e-mail. An applicant should sign the offer letter and send it back to the admission’ s office.